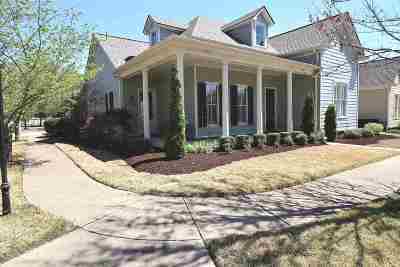 Immaculate home in Magnolia Square! 2 bedrooms down and 2 bedrooms up! Nail down hardwood floors throughout! Wrought iron banister! Inviting family room with fireplace opens to the completely remodeled kitchen and office/laundry/mudroom--you have to see it-gas cooking, too!! Corner lot with lovely front porch and incredible private backyard. Collierville Municipal Schools. Close to the Town Square! Refrigerator/washer/dryer/kitchen island remain. Tons of amenities!